Mom, where do fries come from? When we first opened the door at The Square, we decided that if it was worth doing, it was worth doing right. So, when we decided to put fries on the menu, we agreed that they had to be hand-cut, they had to be made daily, and they had to be as crispy and flavorful as we could make them. So each week, we go through more than 50 lbs of Idaho Potatoes, each of them cut by hand to be the best fries in Moultrie, Ga! It's one of the reasons that our Moultrie-style fries are award winning! This weekend, we were thrilled to cater an event for Colquitt Regional Medical Center at the Colquitt County Arts Center! 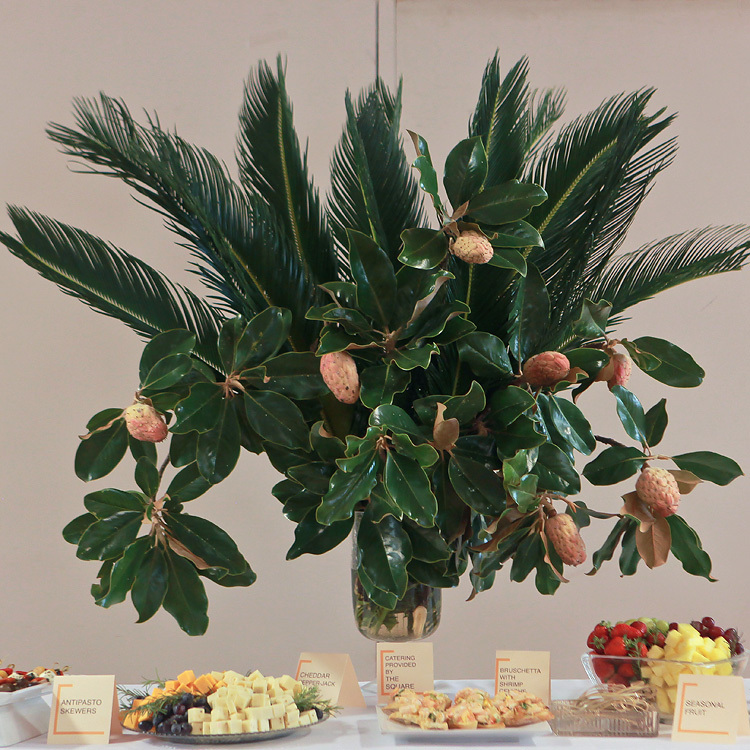 We were able to provide the food, drinks, and even decor for a really fantastic evening. 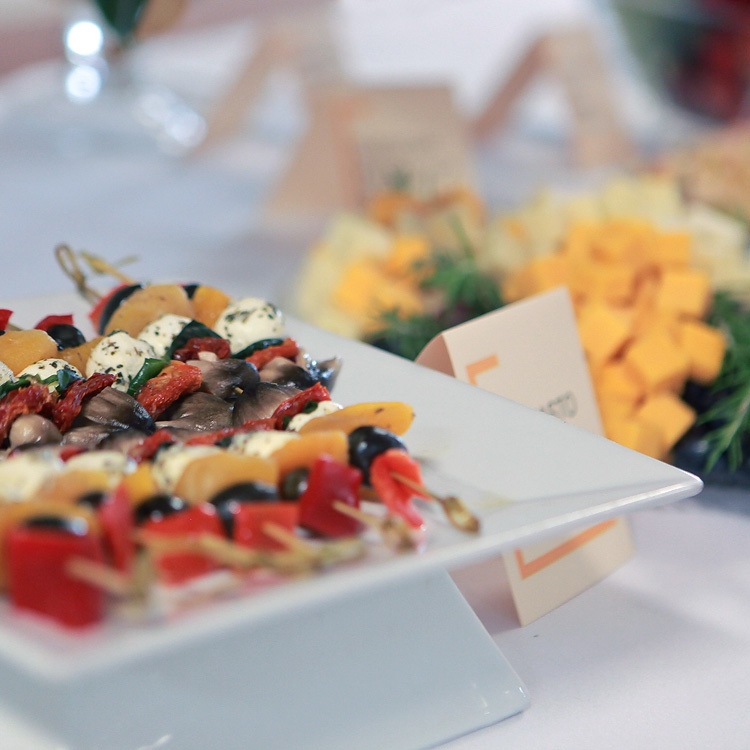 Next time you have a catered event coming up, big or small, we'd love to provide our unique brand of delicious, handcrafted food! 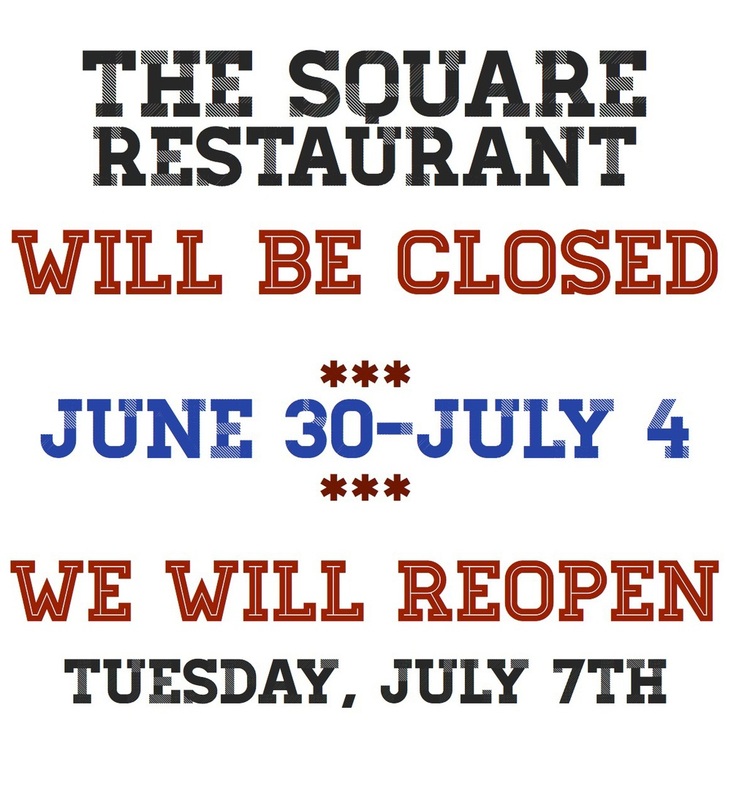 Call 229.985.2525 or email catering@thesquarellc.com. Last wine night was a truly unique evening of food & drink for our diners, and a real culinary challenge for our kitchen! Sake & Sushi are not exactly typical fare here at The Square. But the kitchen pulled off another miracle, and the resulting dinner was delicious! Our next wine night will be on Monday, September 28th, at 7:30 PM. This time, by popular demand, we'll be exploring a lot about Mediterranean foods and wine... With so many different countries & cultures for us to pull from, it should be a GREAT night! The seats are almost full now, but there are still a few spots open. If you want to join us for the next wine night, call 229.985.2525, email us at info@thesquaremoultrie.com, or just make a reservation next time you come in to dine with us! One of the most often asked questions about our menu here at The Square is "Do you have anything I can eat on a gluten-free diet?" Many of our gluten-sensitive diners are unaccustomed to being able to dine out safely in Moultrie, Georgia! The good news is that since we make nearly EVERYTHING from scratch here in our own kitchen, we know exactly what goes into each of our dishes. Our newest Panini is a Southern play on the classic BLT: Crispy Bacon with Lettuce, our Fried Green Tomatoes, and our Bayou Remoulade! Introducing the incredibly flavorful, tender, and painstakingly crafted Dry Aged Burger! Available for a limited time only here at The Square! African roots: The early history of Southern Cuisine. Long before we opened this restaurant, we were a food & travel loving family. We traveled outside of our beloved Deep South, we ate exotic food, we explored other cultures. But when my baby sister, Sara, moved to Zambia and then Tanzania, she opened up my mind to the fact that the Southern Soul Food that we all grew up on was really heavily informed by African cuisine. One of the first things I asked her was "how are you eating?" She is, after all, a pretty strict vegetarian, which can be challenging when there is a huge language and cultural barrier. Surprisingly, she said that aside from the confusion as to why she would NOT want to eat meat, much of the foods she was seeing and eating was very familiar. Boiled, salted & spiced greens, rich pastries, porridges, starchy rice & beans dishes, hearty, slow-cooked stews, spicy tomato sauces, peanuts, fried poultry, and fresh fruits are as at home on an African dinner table as they are in a Southern kitchen. As we put together our menu here at The Square, we often look to our childhood memories of growing up with great Southern cooks, and also to the exotic food cultures we've experienced in travel. When researching the history of Southern favorites, we've found again and again that the South's cuisine was influenced by African traditions more often than not. Even on our current menu, delicious African influence can be found & enjoyed! Take for instance the beloved Boiled Peanut. What could be more traditional & Southern than a boiled peanut, right? What Georgia kid didn't grow up shelling hot boiled peanuts as fast as we could on hot summer afternoons? But peanuts didn't arrive in the USA via African transplants until the 1700s, and were thought of as food for livestock & poor folks for a hundred more years. The old-fashioned peanut nickname "goober" is a derivative of the Angolan term "ginguba." Africans had been boiling peanuts and other groundnuts for centuries, both for flavor, and preservation. During the Civil war, peanuts became more popular and accepted as a healthy, high protein staple of the battlefield and then the kitchen. At The Square, our Boiled Peanut Hummus has become a staple of its own. But even Hummus, which seems so modern, would have been found on the plates of medieval Egyptians. Another traditionally Southern dish that we have inherited from Africa is Gumbo. The very word "Gumbo", which brings to mind that classic bayou stew of rice, veggie, and meat, is derived from the Angolan word "ngombo," which simply means "okra." (Okra, by the way, is another plant & word of African origin!) Of course, the Cajuns have added their own French flair & andouille sausage to the dish; but you do not have to look hard to find the Motherland's influence in this dish. Though there are as many ways to make Gumbo as their are Southern cooks, Gumbo here in Moultrie is roux based. And yes, you'll find okra as a thickener in your Gumbo at The Square. When enslaved people were brought over from Africa, they were (obviously) not fed well. They often had to be incredibly smart and inventive with the sparse foods they were given and able to grow. The ancient Sub-Saharan African technique of stewing leafy greens served the new African Americans well. They soon found that salted porks acted as an excellent preservative, and the "pot likker" that came from boiling greens and salted meat together served as a tasty and healthy stew base. Nowadays, you would be hard pressed to find a Southerner that doesn't have an opinion on which greens are their favorites, and how they best like them served. Mustard Greens, Turnip Greens, and Collard Greens are the most ubiquitous; and most folks enjoy them with a little salt, and little pork stock, and a lot of home-made hot sauce. As the African slaves to which we owe so much arrived, they began surviving, sharing resources and dining with another group of ancient cultures who were also being displaced by the rapidly-growing young nation: Native Americans. Native American and African cultures began intertwining as their plights followed down a similar path. It is the Native Americans who introduced a new crop and a new way of cooking to the South: Corn & Cornbread. Requiring no yeast, and only a few ingredients, cornbread was easy to cook, inexpensive, portable, and as luck would have it, it tastes very good alongside traditional African cooking. It would be hard to imagine having a potluck here in the South without someone's Granny bringing their old family cornbread recipe to dip in the pot likker of another Granny's famous collard greens! As with all of the USA, the South is a melting pot of culture and cuisine. Fried Green Tomatoes can be traced back to Jewish immigrants, Deviled Eggs could be found in Ancient Rome, Potato Salad, like all things 'Tater, originated in Peru, Hot Sauce was being made in Mexico 5000 years ago, and even Pimento Cheese came to us from our Yankee brethren up North! But the influence of African culinary heritage can not be understated. Next time you are enjoying some good ole' fashioned Southern Soul Food, whether it's in Moultrie Georgia, or anywhere else on the planet, don't forget to say a little "Asante" to the Motherland for sharing her incredible culture, people, and food with the world. 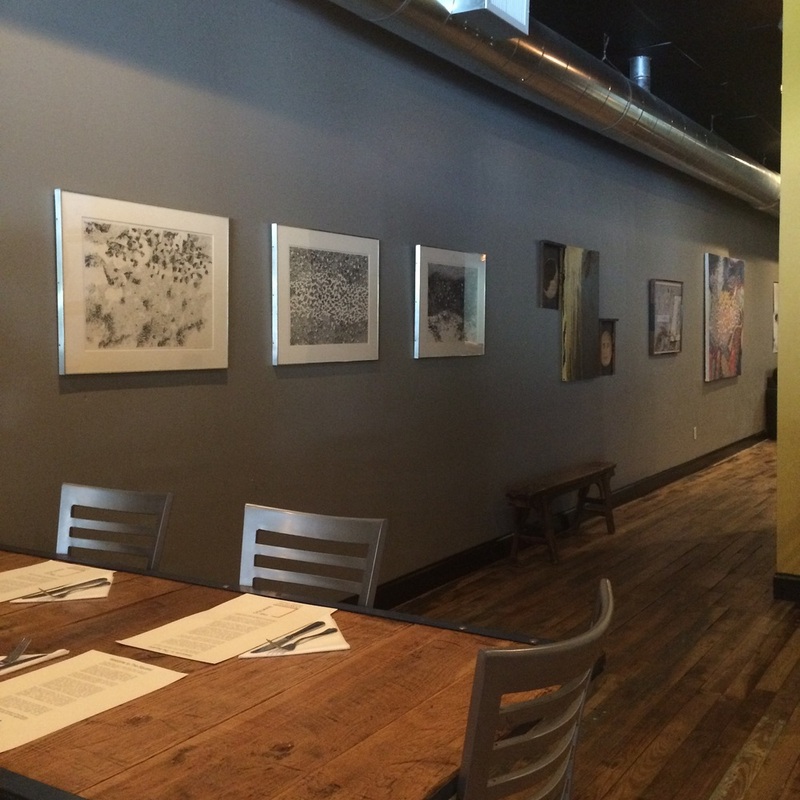 Since we opened in the Fall of 2013, our big grey wall has been a subject of considerable debate. Many loved the wide open, clean & uncluttered space. Others felt that it looked unfinished & empty. Both camps shared their perspectives often with us. For our part, we didn't want to rush to throw "chachkies" on the wall, to steal from the yiddish concept of knick-knacks for knick-knacks' sake. So for almost 2 years, our restaurant's walls stayed mostly unadorned. Recently, the creative and amazing minds from the Colquitt County Arts Center started dreaming with us about the idea of extending their reach so that they can display even more of their amazing art collection. 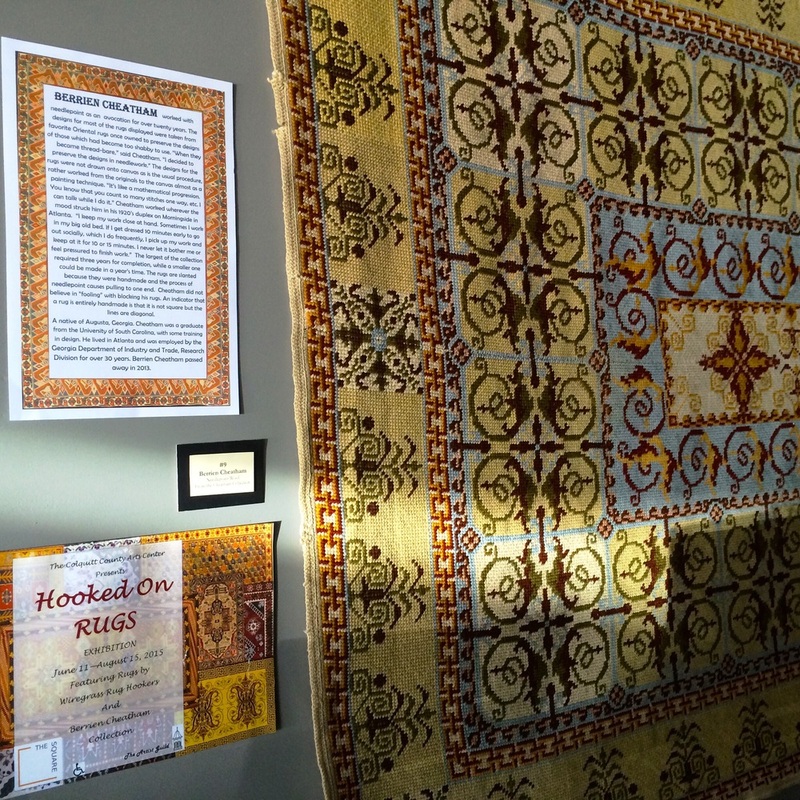 It started when we helped to sponsor a hand knotted Rug Gallery, including hanging one of the beautiful larger rugs here to help raise awareness for the current gallery. Turns out, this big grey wall makes for a great gallery space! 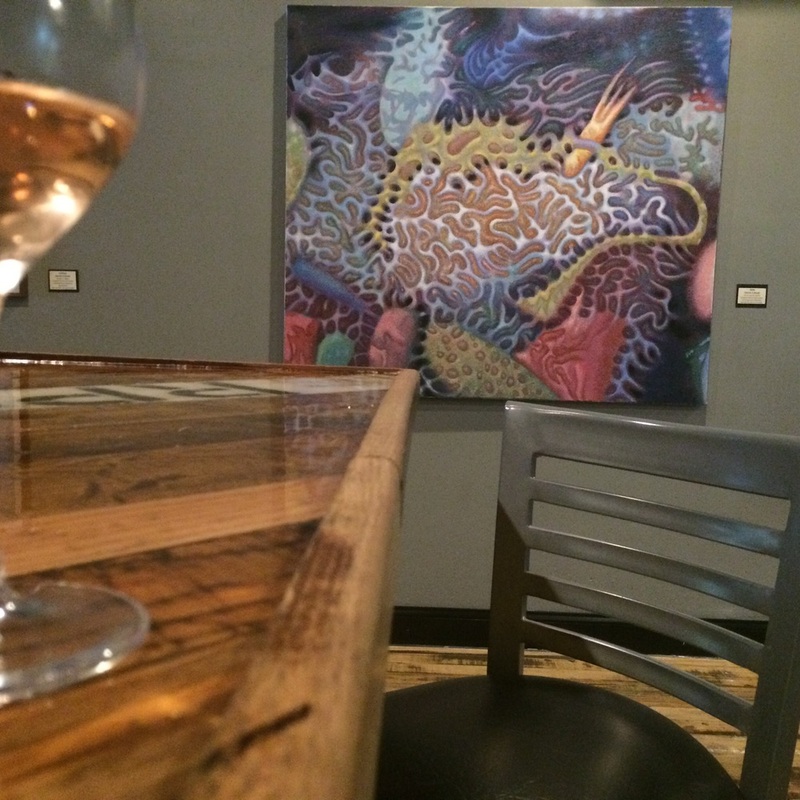 So today, Leah from the Arts Center hung her first Downtown Moultrie Gallery right here in our restaurant. We are honored and thrilled that she brought over a collection of Dennis Gould Art. Dennis Gould was a fantastic surrealist artist from Oregon, and as the director of the Armand Hammer Foundation, he was instrumental in bringing the incredible Armand Hammer collection (considered one of the most important art collections in the world) through Moultrie, Georgia. We are loving the result, and we hope that this is just the first of many partner galleries with the Arts Center! It's become a tradition that during our breaks, we take that time to check in on our numbers, look at the menu we have, and make tweaks to try to get ever closer to the menu that will make our diners happiest. This Summer, we took one week off and spent a lot of time talking about the great feedback that we've heard over the past few months. This time around, the changes were pretty small… mostly just adding back a few crowd favorites: Roasted Spaghetti Squash & our ever-popular Lemon Charred Green Beans. We also did a little switcheroo with the BLT panini, incorporating our beloved fried green tomatoes and our bayou remoulade for a fun, down-South play on the classic BLT. The main difference is inspired by our wine night tradition of pairing up dishes with great drinks that compliment them perfectly. So now, the "Mains" section has built-in drink pairings. No more guessing at what might work with a particular dish. These are tried-and-true combos will enhance your dining experience, and having you ordering like a pro! Check out our updated menu below, or better yet: join us for supper tonight! We're located at 25 1st Street SE in Downtown Moultrie, Georgia. For reservations, or to order a good Square meal to-go, just call 229.985.2525. We made the State Culinary Guide! We are so thrilled that one of our dishes was selected as one of Georgia Eats' "100 Plates Locals Love!". This is the State of Georgia's Official Culinary Guide; and there we are, on page 20 of the guide. The dish they selected? Why, our Moultrie-Style Fries! These are our nod to all the Moultrie natives who grew up in the know, wise to the fact that at the local DQ, the ONLY way to order fries was with a "cup o' cheese!" We took that tradition and ran with it… opting for hand-cut fries, dusting on our own seasoning blend, and slowly melting real cheese & cream. No processed cheese-flavored dip here! You can find these fries in the "Small Plates" section of our menu, which has, incidentally, been recently updated! Most everybody visiting Moultrie's brazier when we were growing up knew… you order your fries with a cup -o- cheese! You have to love a nation that celebrates its independence every July 4, not with a parade of guns, tanks, and soldiers who file by the White House in a show of strength and muscle, but with family picnics where kids throw Frisbees, the potato salad gets iffy, and the flies die from happiness. And so, it is with the joyfilled words of the wonderfully funny Erma Bombeck in our hearts, that we announce that we will be taking next week off. We plan to hang out with our friends & families, eat way too much, stay up too late, and even attempt to sleep in. We hope you, too, celebrate this nation with folks who love you. We were purely thrilled to partner with the Colquitt County Arts Center on their latest gallery, "Hooked on Rugs." The Arts Center brings beautiful art to Moultrie, Georgia from around the world all throughout this year. But this season's exhibit has an interesting, almost magical twist... One Mr. Berrien Cheatham, an unlikely artisan from Augusta, Georgia. Working slowly and steadily on his many hand knotted rugs, some taking as many as three years to complete. Berrien Cheatham worked with needlepoint as an avocation for over twenty years. The designs for most of the rugs displayed were taken from favorite Oriental rugs once owned to preserve the designs of those which had become too shabby to use. “When they became thread-bare,” said Cheatham. “I decided to preserve the designs in needlework.” The designs for the rugs were not drawn onto canvas as is the usual procedure, rather worked from the originals to the canvas almost as a painting technique. “It’s like a mathematical progression. You know that you count so many stitches one way, etc. I can talk while I do it.” Cheatham worked wherever the mood struck him in his 1920’s duplex on Morningside in Atlanta. “I keep my work close at hand. Sometimes I work in my big old bed. If I get dressed 10 minutes early to go out socially, which I do frequently, I pick up my work and keep at it for 10 or 15 minutes. I never let it bother me or feel pressured to finish work.” The largest of the collection required three years for completion, while a smaller one could be made in a year’s time. The rugs are slanted because they were handmade and the process of needlepoint causes pulling to one end. Cheatham did not believe in “fooling” with blocking his rugs. An indicator that a rug is entirely handmade is that it is not square but the lines are diagonal. Mr. Cheatham was a graduate from the University of South Carolina, with some training in design. He lived in Atlanta and was employed by the Georgia Department of Industry and Trade, Research Division for over 30 years. 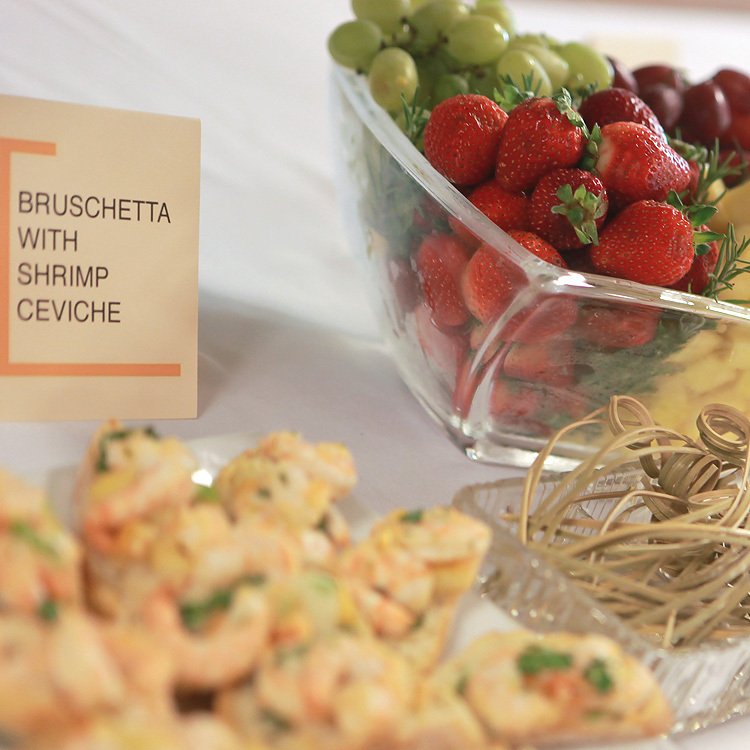 We were happy to cater the event, providing delicious pastry-wrapped baked asparagus, boiled peanut hummus, southern-style chicken salad, our smoky pimento cheese, and of course, our double dark chocolate espresso brownie bites! We are also thrilled to display one of Berrien Cheatham's larger works here in The Square for the duration of the exhibit. Stop by the Vereen Gallery at the Colquitt County Arts Center, or just drop by The Square to see his work up close and personal! 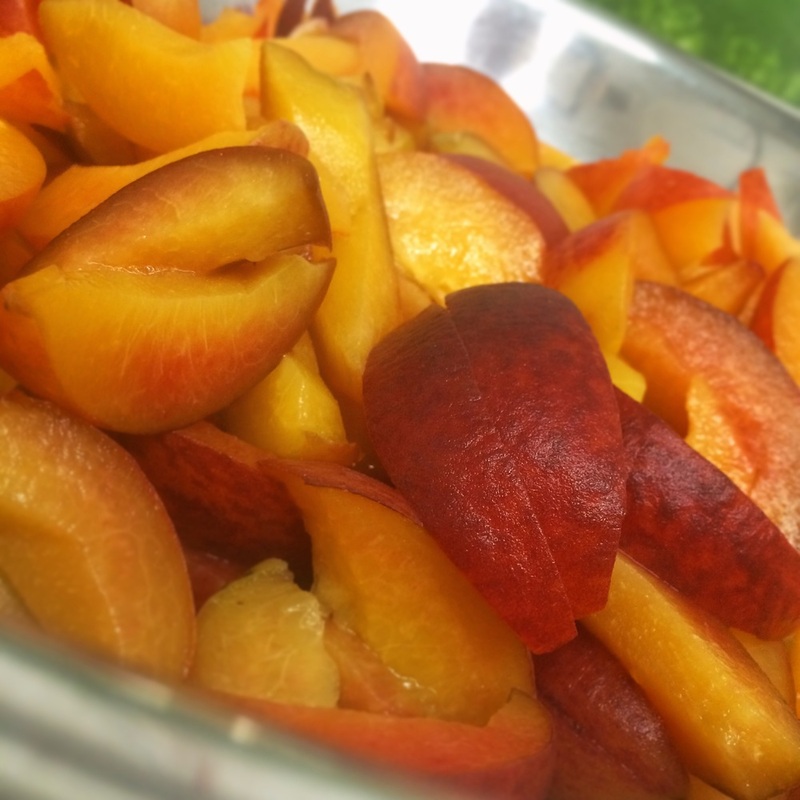 We are so excited that peaches are in season here in South Georgia! Fresh sliced sweet Georgia Peaches. 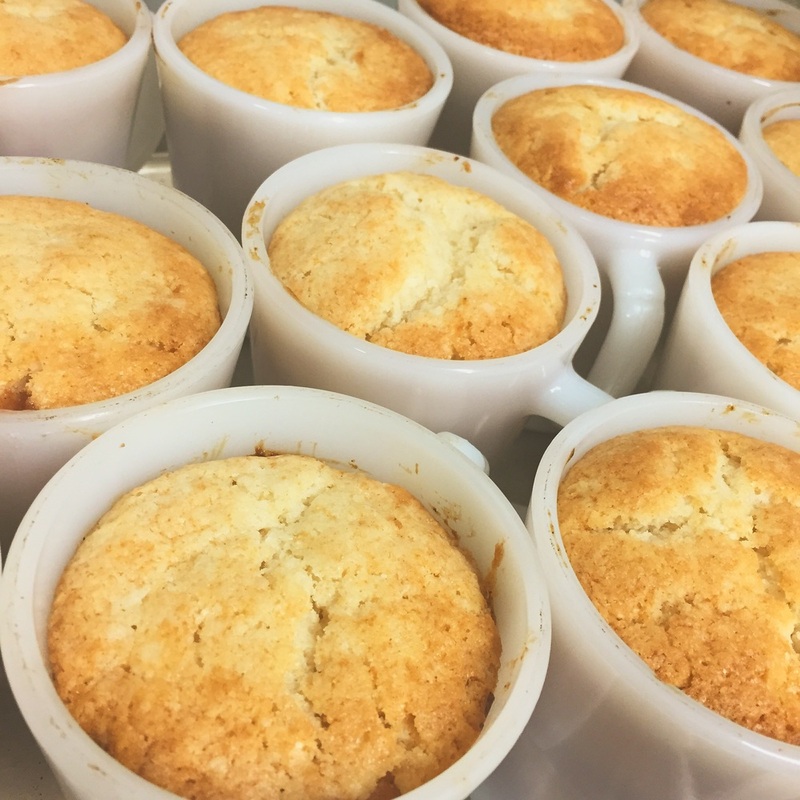 Since we've had them this week, we've already made fresh peach mini galettes, peach crème brûlée, and tonight, we're making individual bourbon cinnamon peach cobblers. Mmmmm so dadgum good. Bourbon Cinnamon Peach Cobblers in Fireking Mugs!